If there was one word to describe this book, I would use refreshing because it’s not like other romance novels. This book actually focuses on the concept of falling in love and showing how that can happen and that it’s not always the easiest thing to do. Tyler is a man after my own heart because he’s not afraid to take chances. Prime example being stripping down naked to win back Delaney. 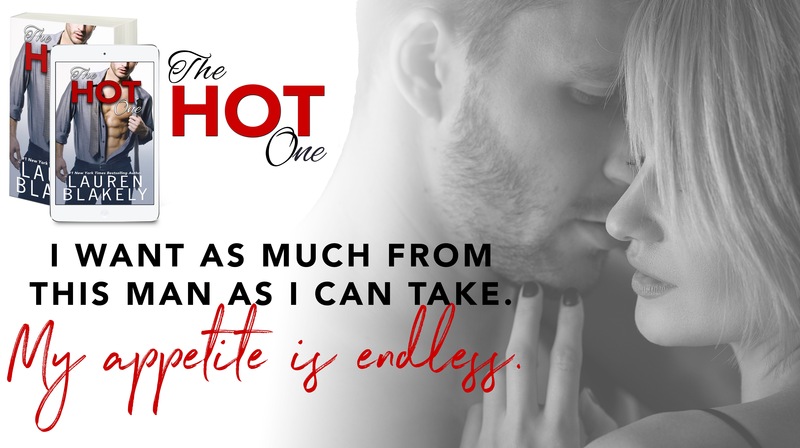 And with the title of ‘The Hot One’ you know it’s gonna be hard to resist. Even though I couldn’t see him I couldn’t resist him. Delaney did all that she could to try and hold him off but he’s not one to be slowed down. Thankfully she is able to make him see that you can’t just pick up where you left off and that you have to start over from the beginning because if they didn’t I definitely would have had issues with this book. 1 complaint is that it’s not long nearly long enough. Tyler and Delaney are so funny together that they are boarder line annoying because they are so cute. I know that if I knew them in real life that is how I would feel because love like that gives cavities. It ends with a HEA and is part of a series but it can be read as a stand alone. This entry was posted in Books and tagged Inkslinger PR, Lauren Blakely, The Hot One.